It Doesn't happen very often, but every once and a while we get to shoot just for fun! No matter what you're doing, whether it's your job, a hobby, or even being a parent, it's important to remember WHY you wanted to start doing it in the first place. When we are doing photos for clients, we LOVE when a client trusts us enough to let us take some creative liberties, but most of the time we have a very specific formula with how we take portraits and how we edit our portraits that allows us to provide a very consistent and trustworthy style that brings past clients and new clients back to us and lets them know exactly what they are going to get. Sometimes, however, it's good to do something that just lets the creative juices flow! 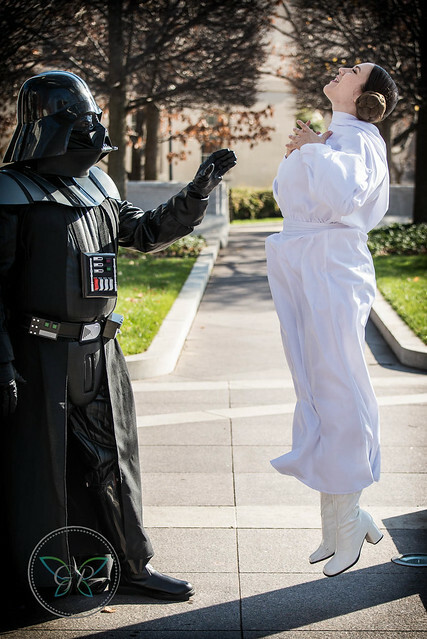 There is a group of cosplayers here in the DC area that meet up about once a month all aound the DC area to show off their latest creations and take some photos with local photographers. It allows us to take some amazing photos for our portfolios and lets them get professional level photos of their costumes. 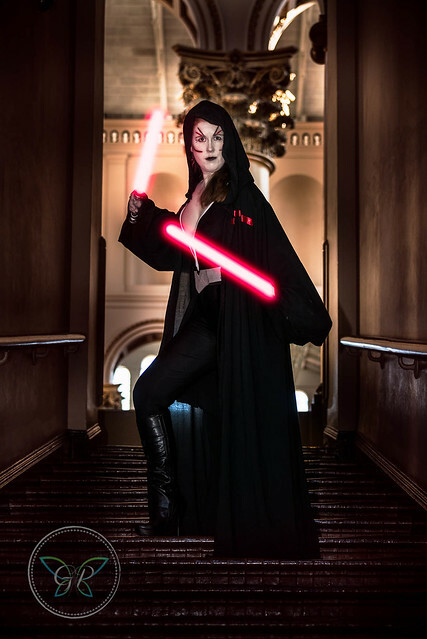 Each month they try to have a theme so that we can pick a location that fits that theme and also helps the cosplayers figure out which costume they want to bring (Some of them have very extensive and diverse collections) With all the buzz around The Force Awakens which was just about to come out when these photos were taken, it seemed like the perfect time to do a Star Wars shoot! That was the only rule, it didn't have to be an particular movie in the franchise or even part of the movies. 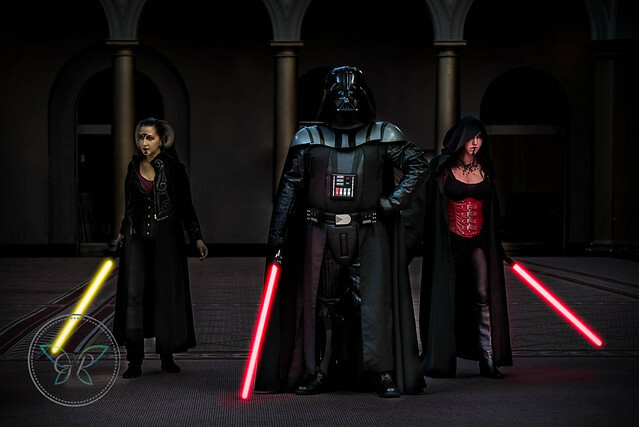 A few cosplayers created their very own characters that would easily fit into the Star Wars Universe. The organizers decided that the National Building Museum would be a perfect location because of the amazing pilars in the main lobby. The lovely people at the Museum even let us in an hour before it opened so we had the entire building to ourselves, once the museum opened we were still shooting but guests and kids and even some of the security guards wanted to take their photos with the Amazing Darth Vader and Force Awakens Storm Trooper costumes. So, what do you guys think? Have you seen Force Awakens? What did you think of it? If you could cosplay as any character from any movie, who would you be? Let us know down in the comment section below! 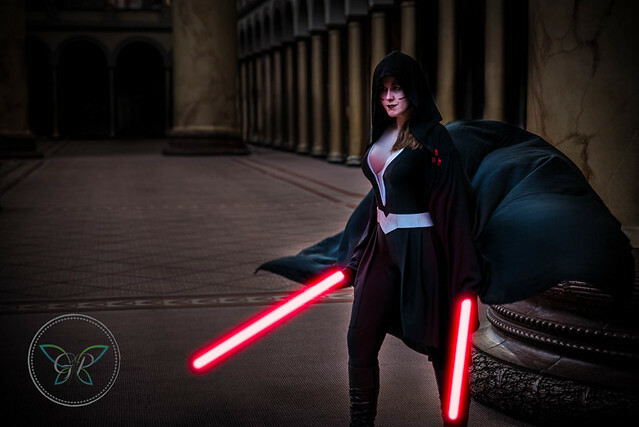 yolanda - I love star wars cosplay! 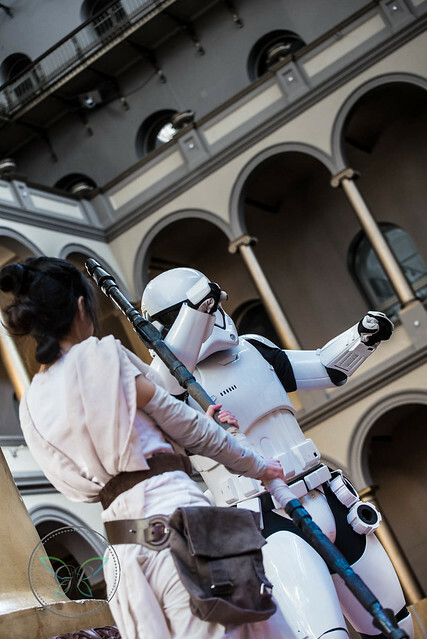 I know a cosplay store of star wars the costumes are amazing!